It was such an honor meeting Jaime Lerner today. Renowned architect and urban planner, three times mayor of Curitiba, Brazil and governor of the state of Parana. A true visionary. 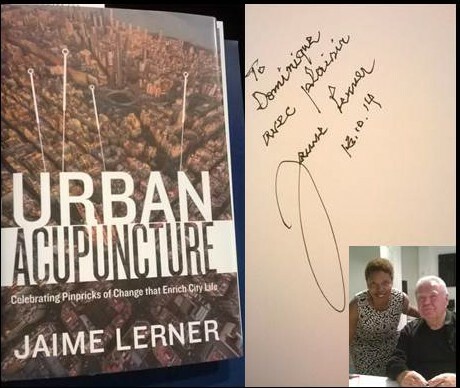 I also got a signed copy of his book, “Urban Acupuncture”. He signed my copy in French. What a treat!